The tame Russian red fox (or Siberian fox) is a genetic freak, as its the only domesticated species of fox. The foxes were originally used for a study on domestication and the role of stress in evolution spearheaded by Prof. D. K. Belyaev, the Laboratory of Evolutionary Genetics of Animals, and the Institute of Cytology and Genetics in Russia. Over time and with special genetic selection, the coloring of the studied species changed, their ears began to flop, both the plumage and posturing of their tails transformed, and the foxes became more like domesticated dogs. While a pet fox is not the easiest pet to acquire, you may be able to source kits from Russia and U.S.-based backyard breeders for a hefty price. Russian red foxes display genetic differences from wild foxes making them—for all intents and purposes—domesticated. They have a different temperament than their wild cousins due to lower adrenaline levels and other physiological mutations. Tame foxes show characteristics similar to a domesticated dog, such as friendliness and excitability around humans (exhibited by tail wagging). In some cases, a domesticated fox will whimper to attract attention and will sniff and lick its caretaker (similar to a dog). However, this tame variety is still very much wild, exhibiting traits more like feral breeds. Red foxes can jump over 6 feet in the air, dig and swim exceptionally better than dogs, and have an ample amount of unpredictability due to their instinctual nature. A large (approximately 10 by 20 feet) enclosure makes an ample living area for a pet fox. The pen must be secured with a buried fence to prevent your pet from freeing itself and to also prevent predators from getting in. The fence must be high enough (a minimum of six feet) to contain a fox that can jump and a roof is recommended for protection from the elements. The outdoor enclosure should also have a shelter or indoor area, complete with bedding, and straw or woodchips for digging. Potty training your pet fox (similar to potty-training a dog), makes the inclusion of training pads necessary until your fox is fully trained to "go" in a designated area. Same goes for a fox that has access to your home, although this practice is not recommended. In the wild, red foxes are omnivores, eating small rodents, birds, raccoons, insects, reptiles, and plant material, including fruit. In captivity, a grain-free dog food supplemented with fruit and vegetables is typically acceptable. Most quality dog food brands can be purchased at pet stores (just read the ingredients to make sure it's grain-free). Feed your fox according to the package directions for the body weight, and then adjust amounts accordingly if it's losing or gaining too much weight. Fruit and vegetables should only account for a small portion of your fox's total diet. Usually, 1/4 cup a day works well as a supplement. Some red fox breeders also recommend raw meat, vegetables, and supplements. And of course, fresh water should be provided daily for your pet, both in its run and inside the house, if applicable. Pet foxes are susceptible to most canine diseases, including rabies and distemper, but research vaccines carefully before you decide to vaccinate your pet fox. Some domestic foxes suffer from reactions to common vaccines. That said, if your unvaccinated fox (or even one that is vaccinated) bites a person, depending on the laws of your state, chances are authorities will need to put it down. 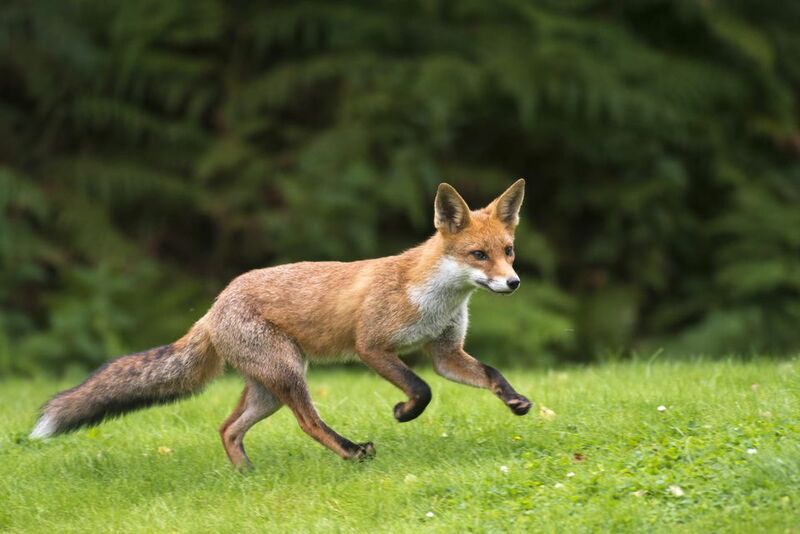 Foxes can also catch livestock diseases—including bovine tuberculosis, leishmaniasis, and Darling’s disease—and can transmit certain other illnesses to both humans and pets. Make sure to work closely with an exotics vet so that any infection can be tended to immediately, preventing risk to your family. Is It Legal to Own a Pet Russian Red Fox? Several states ban people from keeping foxes as pets, including California, Texas, and Oregon. In New York, however, a group of exotic pet owners protested an existing ban, writing letters to senators and eventually gaining approval for pet fox ownership. In North Carolina, residents can own a fox as long as they obtain an exhibition license and use the fox for learning programs in schools, libraries, or nature centers. A few other states may permit pet foxes but prevent you from importing one from outside the county or the state. And some states only allow fox ownership if the fox was caught by an owner in the wild. Sibfox, a company in Las Vegas that worked with the Russian fox farm, used to import pet foxes for a $6,000. But in 2012, they ran into confiscation issues and are no longer providing this service. Breeders like Tiny Tracks Exotic Animals claim to be the new domestic source for pet foxes and other wild animals. However, according to Popular Science, the red foxes sold by Tiny Tracks truly are wild breeds, making them quite different, domestically, from their tame Russian cousins. Even still, before adopting a fox from Tiny Tracks or any other domestic breeder, first check with your state to see if importation is legal and then obtain a permit before purchasing your pet. Even though domesticated breeds of foxes are said to make good pets, there are many reasons not to own one. Still, fox lovers can sponsor rescued foxes from the Alaska Wildlife Conservation Center at several different price levels and enjoy fox parenthood without all the work. What Happened to SibFox and Can You Still Get a Pet Fox?